Youtube is now the second largest search engine in the world and it’s home to a wealth of information about any topic, and equally as much content in the forms of vlogs documenting the modern humans lifestyle, trends and struggles. 1. Create videos that compliment your brand, products and ethos. Either you can be useful and make instructional videos or videos showcasing your products in an inspirational way. Or why not make your own channel creating your own show on a topic that is relevant for your target audience? If you are unsure, go out there and do your research. 2. If you don’t want to create your own videos you can be known for showcasing your expertise in an area by curating and crafting useful playlist with videos on various topics. Make sure to include vital keywords in the titles of the playlist to ensure they come up in the search results. 3. You can work with vloggers to get your product out there, either it be by pitching your products for video tutorials or by working with inviting Youtube influencers from famous channels to your own. 4. 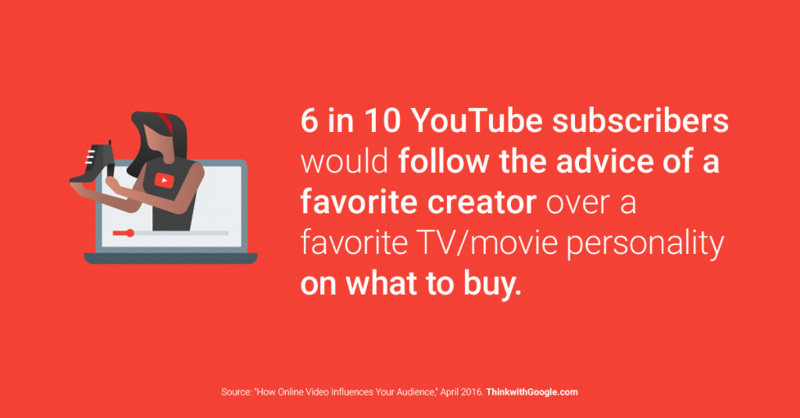 For marketing and placing ads or commercials, there is plenty of opportunity on Youtube to find the right type of channels within a specific niches, to really find and reach your target audience. 5. Monitor and comment on channels and videos that covers topics close to your product and/or market and help people, be useful, give advice and answer to questions and comments on other channels videos.